If you are charged with a crime in Colorado, knowing what kind of penalty you face if you are convicted can be complicated and confusing. The fact is, many factors are taken into consideration when determining a sentence in the event of a criminal conviction, and in many cases, judges have a degree of discretion. However, in most cases, it is possible at least to understand what you are up against. Regardless of the sentencing guidelines, if you have been charged with any crime, felony or misdemeanor, or if you are under investigation, it is extremely important that you contact an aggressive, experienced Denver criminal defense attorney right away to discuss your options. As a former prosecutor, Steven Louth possesses an intimate understanding of how the state charges crimes, as well as how prosecutors build cases. This knowledge gives him a unique perspective on designing your defense. One of the first steps in understanding the penalty that you may face is to look at the presumptive range for your level of offense. Most people know that criminal offenses are divided into Felonies and Misdemeanors, and that felonies are more serious than misdemeanors in general. It is important to understand that both felonies and misdemeanors are then subdivided in classes. The presumptive range of your charge is based on the class of felony or misdemeanor. The maximum jail time for a misdemeanor is one year. A crime for which it is possible to spend more than a year in jail is a felony. Most crimes can be charged as more than one class. It is also important to keep in mind that the presumptive sentencing range is only part of the guideline. The next thing to consider is whether there are either mitigating or aggravating factors in the crime. This is a point in the criminal justice process where having an experienced Denver criminal defense lawyer on your side can make a significant difference in the final outcome. 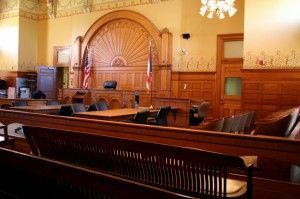 The judge often has discretion when it comes to mitigating and aggravating factors, and so having someone who can explain why your offense was not as bad as it looks is important. For example, if the prosecutor convinces the judge that aggravating factors make the crime worse than “normal,” the judge may impose a sentence that is double the length of the presumptive range. However, if your attorney can convince the judge that the crime was not as bad as it appears, the judge may impose a sentence that is half the presumptive range, and in some cases may impose a sentence of probation or some other penalty in lieu of jail time. If you are facing criminal charges, whether you have already been arrested, or are under investigation, contact a dedicated Denver criminal defense attorney immediately to protect your rights. From ensuring that police and prosecutors observe your rights, to advocating effectively at trial, to working hard to get the least restrictive possible penalty in the event of a conviction, Steven Louth has the experience and the dedication to protect your rights. He understands how to design a defense around the details of your situation, and get the best possible outcome for you. For more information and a FREE CASE EVALUATION, contact Steven Louth Law Offices today at (303)442-2297.